Make a splash at the Sables Blancs campsite! 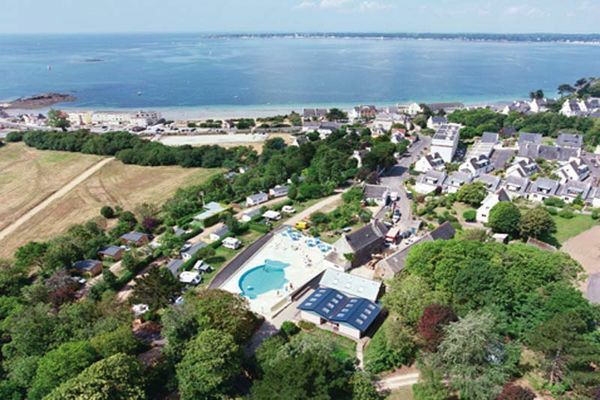 If you like splashing about in the water then you’ll love the Sables Blancs campsite, where the waves rule! The sea is just 150 metres away and the pool and heated whirlpool are open part of the year and one evening a week in summer. Swimming here, looking out to sea, it’s like being in the middle of the Atlantic ocean - except that here the maximum depth is only 160cm! Late night swimming sessions take place once a week in the fish-shaped pool, accompanied by light shows. Swimming is hungry work, and the campsite provides a food service from breakfast-time to dinner-time. The medieval walled town of Concarneau is a 15-20 minute stroll from the campsite, just right for walking off your dinner!